Is Your Customer Service Memorable? Our family came together from five states to attend the @Twins Home Opener against Seattle on April 5. We came at the behest of our brother Dan who wanted all of us to spend his milestone birthday weekend in Minneapolis. Our families assembled a few hours before the US men's curling team attempted to find any catcher's mitt with the ceremonial first pitches and before a beautiful bald eagle got confused and landed on the shoulder of a Twins player following the National Anthem. ( Both made ESPN's Top 10 plays of the day). As an avid Twins fan, it was my first time visiting Target Field. What an experience. But it was made even more exceptional because of the customer service we experienced from a Twins usher. D'Ann K went above and beyond her duties to make our experience in Section P one that will never be forgotten. And here's why. 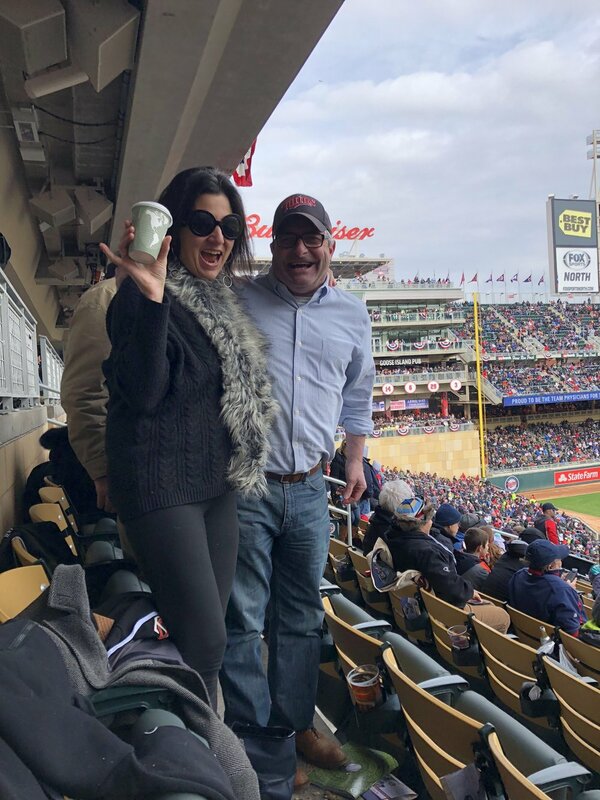 My wife Michele does not consume caffeine, and as you can imagine, the temperatures in Minneapolis in early April are rather frosty. So I went in search of a decaffeinated cup of anything hot. I scurried to the nearby food vendors in the lounge hoping to secure a cup and not miss any of the game. Decaf was not an offering. D'Ann then led me (literally led me) to a place where she thought decaf was served. That vendor apologized and directed me to two specific locations in the lower level. So I marched down the stairs and waited in line with my back to the vendors so I could watch the field. Surprise, surprise. No decaf. I sauntered back to Section P and D'Ann asked if I had any luck. I said, unfortunately no. One inning later, D'Ann appeared in our row and presented my wife with a steaming cup of decaf coffee. The entire section cheered and I couldn't have been more grateful. I offered to pay D'Ann and give her a nice tip, but she refused both. Her whole goal on that opening day was to make the fan experience memorable. And Wow. D'Ann hit it out of the park. (Sorry, I had to). Minnesota Nice is alive and thriving. It may seem trivial, but the fact that D'Ann took it upon herself to make one fan from Chicago feel special, speaks volumes about her and the #MNTwins organization. D'Ann's individual passion to serve one person is a lesson we can all take in approaching customer service. So if you happen to find yourself near Section P at Target Field during a Twins game, look for D'Ann and tell her the crazy decaf coffee guy from Chicago says hello. That will make her day, just as she made mine.